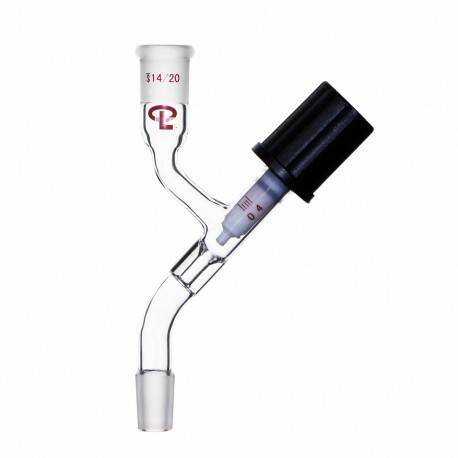 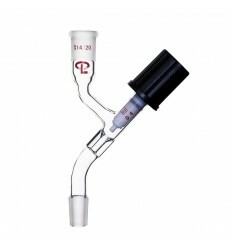 Adapter has a 0-4mm high vacuum PTFE valve between the top 14/20 outer and the lower 14/20 inner joints. 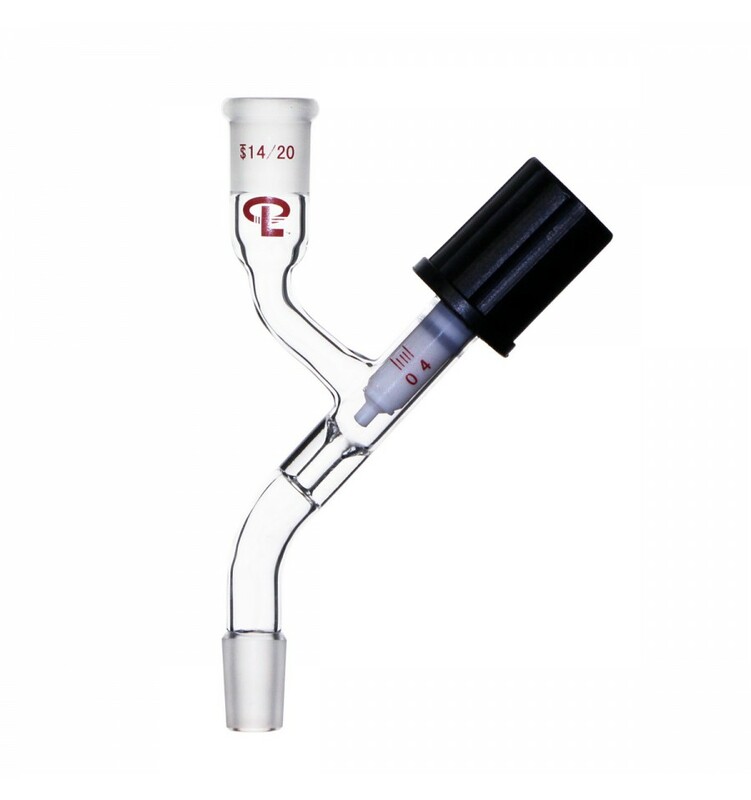 The PTFE valve has metering tip to adjust the liquid transfer flow, and the O-rings are completely enclosed with thin layer of PTFE around the valve. 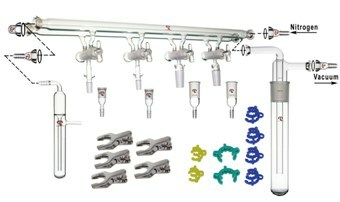 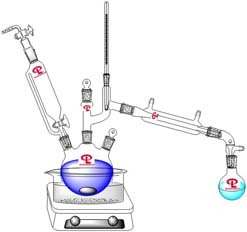 This new design makes it inert to most chemical/solvents being transferred from one vessel to the other.